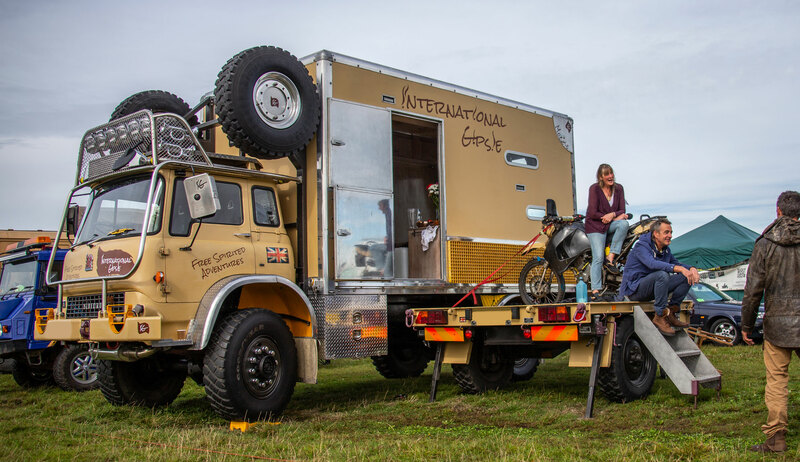 The Adventure Overland Show boasts the largest gathering of expedition vehicles in the UK. Since its launch in 2012 (2013 at Stratford-upon-Avon Racecourse) the show has developed into a major national event featuring all forms of alternative travel. Bringing together those of us who love exploring the great outdoors, the Adventure Overland Show includes two full days of free seminars spanning expedition trucks, 4x4s, adventure bikes and 4x2 campervans presented by the enthusiasts themselves, traders galore including campervan and truck conversion specialists, clubs & their fire-pits, incredible display vehicles, The Map Room presented by Overland Sphere with free travel advice on planning, logistics & preparation, oodles of camping and rocking evening entertainment - it's the biggest and best event of its type in the land! International Campervan Show is mainly 2WD vehicles whereas the Adventure Overland Show is mainly 4WD. However, there is such a crossover between the two types of vehicle (i.e. 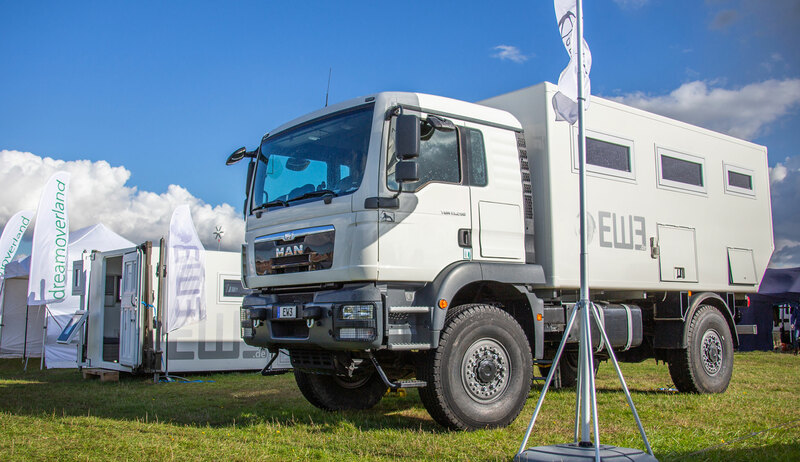 Mercedes Sprinters and VW Transporters are available in both 4x4 and 4x2 versions), it has proved impossible to have two separate shows 'under one roof' so to speak ... therefore visitors will find the two shows have blended into one giant event. The same goes for traders as their products/services often cover 2WD and 4WD. 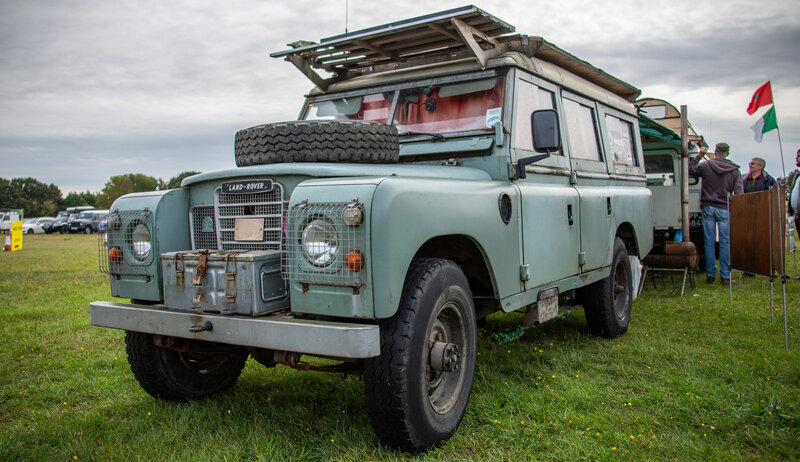 This being the case, Day Visitors only have to purchase one admission ticket (Sat or Sun) for the entire event - thus covering the International Campervan Show and the Adventure Overland Show. Likewise campers will have unlimited access to both shows. It's truly "2 shows for the price of 1"
Dogs under control are welcome. Campers can arrive up to 9pm on the Friday pre-event, thereafter due to Health & Safety + security reasons, a holding area exists until Saturday morning. Here campers can still benefit from the facilities - toilets, showers, beer tent, catering, etc. In effect this means that campers will never be turned away. There is ample camping space at the venue, meaning the campsite will never be full. The event features two shows each year: Spring [27-28 April 2019] and Late Summer [28-29 September 2019]. Phill Bond APB Trading Ltd. Your destination where you can meet fellow travellers, discuss your gear requirements with the experts and improve your skills during a number of focussed workshops. More than just a show, it is also a gathering of like-minded folk, a festival for enthusiastic overlanders, adventurers and explorers.